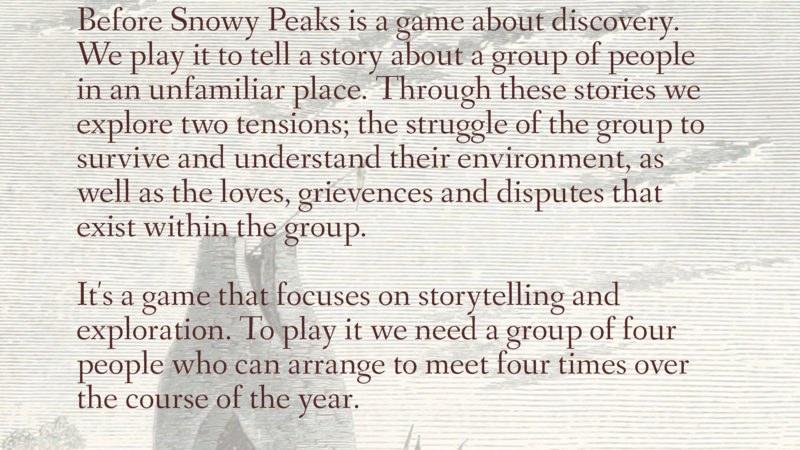 Before the Snowy Peaks, We Wept is a storygame that tells the story of a community in an unfamiliar land. The games structures are designed to mirror the seasons. You meet four times a year to play, once in each season, and use the weather as inspirations for your stories. It was originally commissioned for ME&R, an alt/indie/art games zine.